I arrived on Monday morning at 6.30am after a nice but long flight from Norway. Bangkok welcomed me with a thunderstorm and heavy rain. Excited and optimistic, I found that it was quite hot – but that was good after a long winter! I found the hotel, took a quick shower and went to meet the rest of the students for breakfast and the first Company visit. It was a heavy start, and the bus was a good place to rest my eyes. 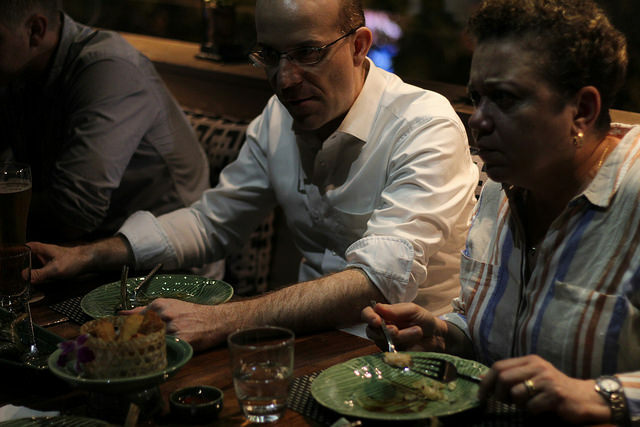 After two interesting company visits some of us went off to Bangkok city for dinner, drinks and walk. We went to the beautiful Skybar to see the sunset. Unfortunately the dress code said that sandals for men were prohibited. But some nice people outside the building willingly lent out their shoes to help us get in. 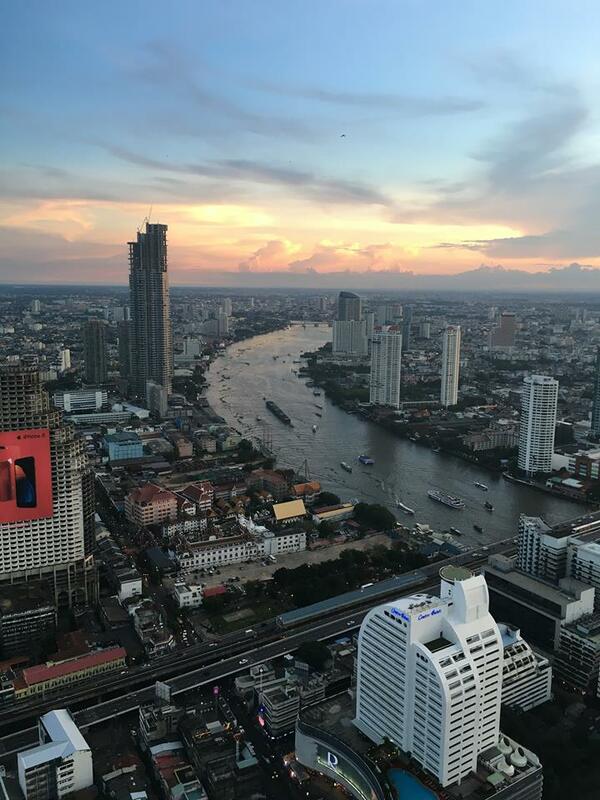 We just reached the sunset and had a good look at the skyview over Bangkok.